Spray-on bedliners are worth investigating if you own a pickup truck. Since we appreciate our vehicles, we always want to take care of them and make them look their best, and we can’t ignore the bed. 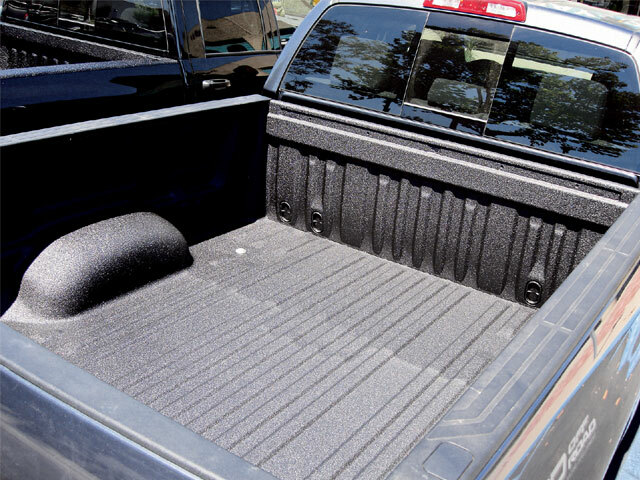 A spray-on truck bedliner from Line-X is one of the best ways to go. We recently paid a visit to the Line-X office in Anaheim, California, and saw for ourselves once again how a truck bed can be transformed with Line-X. With more than two-million trucks protected to-date, Line-X spray-on bedliners have been tested for strength and protection in harsh, real-world conditions as well as the laboratory. 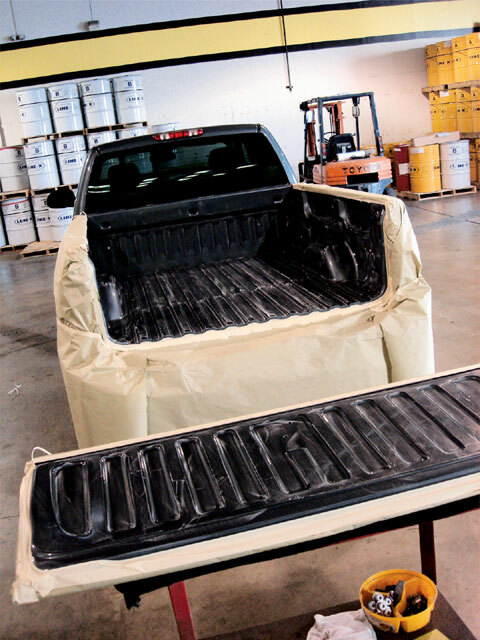 Bonding permanently to your truck bed, Line-X molds around every contour for a factory-like finish, creating a weatherproof and watertight seal to prevent rust and corrosion. Accessories, bed lids, camper shells, fifth-wheel hitches, tie-downs, utility boxes, etc. all fit great because Line-X molds to the precise surface of your truck bed. The thick, textured impact-absorbing surface of every Line-X bedliner not only protects cargo from shifting, but dampens road noise and vibration common in most trucks. Plus, no rattling around or chance of a “fly out” like some drop-in bedliners. Line-X is resistant to most common chemicals and engineered to handle leaks or spills of most kinds, including gasoline, paints, bleaches, solvents, oil from lowrider hydraulics and much more. Durability is one of the strengths of Line-X. Light scratches are repairable, and in the case of more serious mishaps, your Line-X dealer can seamlessly repair the surface in minutes. This would be impossible to do with a drop-in liner that usually scratches the bed down to the metal. If I had to do it over again I wouldn’t hesitate as I have Line-X in my lowrider as well as my toy hauler. 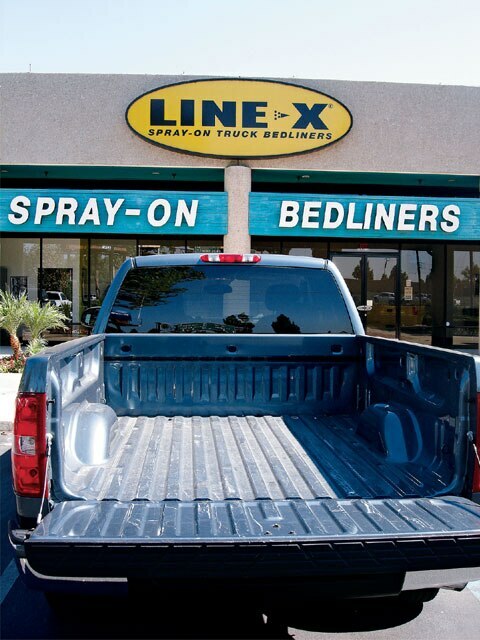 To learn more about Line-X spray-on bedliners, visit them on the web or call to find the dealer nearest you.